I have sworn my undying love for lemon desserts in my lavender lemon bars post, so it’s no secret I’m a huge fan of all things lemon. 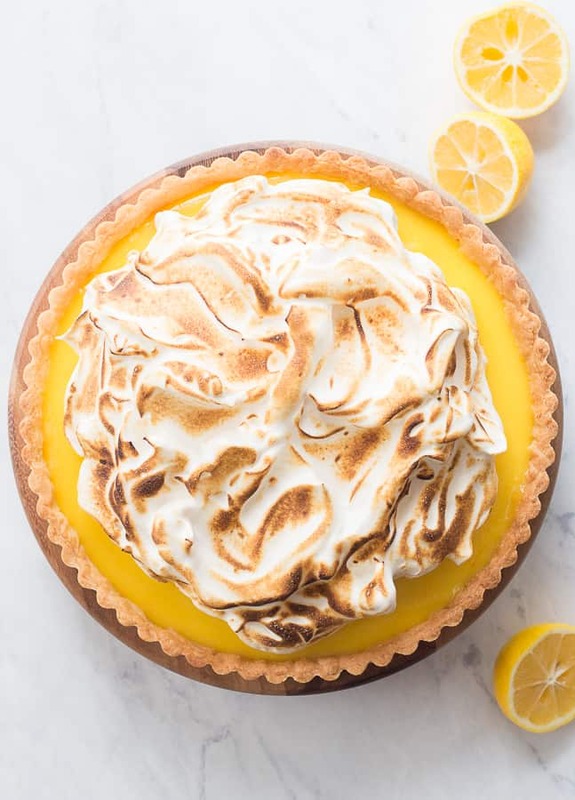 Today, I’m sharing with you a riff on the classic lemon tart -a meyer lemon ginger tart with toasted honey meringue. This tart is out of this world delicious – the flavors are perfectly balanced and make for a rock star flavor combination. I’ve swapped traditional lemon curd filling with a Meyer lemon curd infused with fresh ginger. Meyer lemons are a winter citrus gem. They’re incredibly juicy and flavorful, combining the sweet tart flavors of a lemon and a mandarin orange into one fruit. 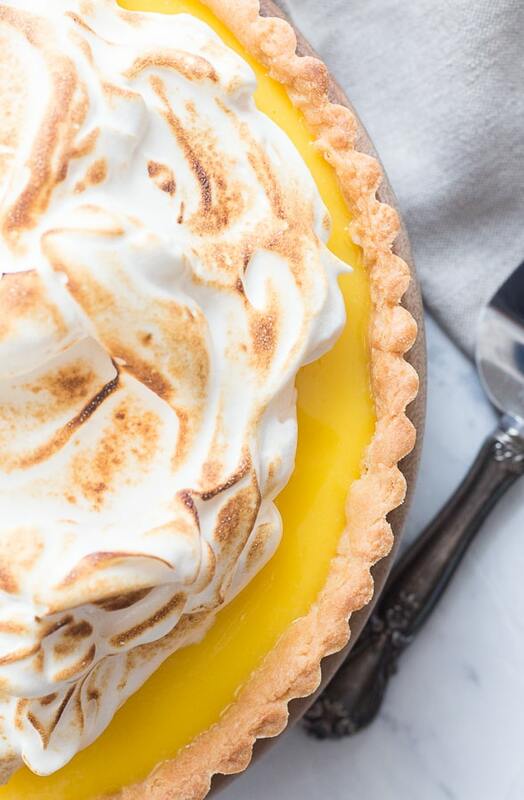 I’ve topped this tart with a toasted honey meringue that compliments the Meyer lemon and ginger. Seriously, so good. I use my favorite sweet tart dough to make the shell of this tart. It’s buttery, tender and perfect for holding all of this luscious Meyer lemon ginger curd. The Meyer lemon ginger curd is made with lots of egg yolks, lots of zest and lots of grated ginger. It seems like a lot of egg yolks, but I prefer to use more yolks than whole eggs to lessen the eggy flavor that can sometimes accompany curds. Keep four of those whites though because you will need them to make the meringue. Pop the remaining three whites in the fridge to be used for macarons, meringue cookies or buttercream. It’s important to get as much flavor out of the zest and grated ginger as possible. I find that the best way to do that is to rub the zest and ginger in with the sugar. This releases the oils from the zest and the liquid from the grated ginger. Add your egg yolks and eggs and promptly whisk to combine. Sugar can actually absorb the water from the eggs, or what some refer to as “cooking” the eggs, so that’s why you want to work fairly fast here, to avoid clumpy eggs. Add in the lemon juice and butter and cook on medium low heat until the mixture has thickened and has reached 170F. Strain the curd in to a bowl to remove any eggy bits and zest and let it come to room to temperature before pouring into your tart shell and chilling. When I make meringue, I usually use the Swiss method of cooking sugar and egg whites over a double broiler to 150F-160F, then whipping the mixture to stiff peaks. The method is the same here, but with honey instead of sugar. I add in a pinch of cream of tartar just to add a bit acidity and a pinch of salt for flavor. The result is a thick, marshmallow-y meringue with the prominent but not overwhelming flavor of honey. I (carefully) pile the meringue (a lot) onto the tart and use a blow torch to toast it. You can halve the recipe if you prefer less meringue. Meringue has a tendency to get weepy and flat over time, so be sure to add the meringue and toast it just before serving. 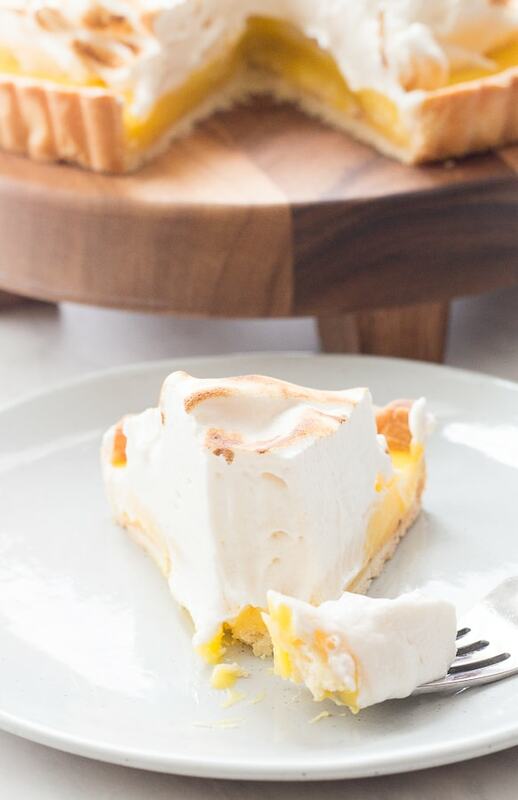 If you try this Meyer lemon ginger tart with toasted honey meringue, let me know! Leave a comment in the comment area below and be sure to snap a photo and tag it #littlevintagebaking on Instagram. 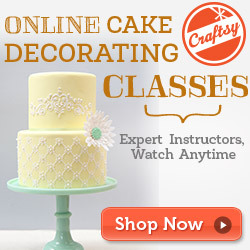 I love seeing your Little Vintage Baking creations! Combine the sugar, Meyer lemon zest, and grated ginger into a bowl. Rub the mix between your hands to release the oils of the zest and the liquid of the ginger. The mixture will be like wet sand. Add the eggs and egg yolks to the sugar mixture and whisk to combine thoroughly. Add the Meyer lemon juice and whisk to combine. Pour the mixture into a medium sauce pan, and place over a medium low heat. Add the butter. Stir continuously to keep the mixture moving so your eggs don't scramble. Cook the curd until thick and just beginning to bubble, or until an instant read thermometer reaches 170F. The curd will thicken more in the refrigerator. Strain the curd into a clean shallow bowl, and let it sit until it reaches room temperature. Pour the curd into your cooled, fully baked tart shell. Use a spatula to spread the curd evenly in the tart shell. Place in the refrigerator to set up the filling, about 4 hours. Place a couple inches of water in a medium saucepan. Place the saucepan over medium heat and bring to a simmer. Place the egg whites, cream of tartar and the honey into the bowl of a stand mixer. Place the bowl over the saucepan of simmering water, whisking constantly until an instant read thermometer reads 160F. Transfer the bowl to a stand mixer with a whip attachment and beat on medium high until the meringue is thick, glossy and pulling away from the sides of the bowl. Your meringue should hold it's shape. Using a spatula, gently place scoops of meringue into the center of the chilled tart. Make swoops and swirls with a small spatula. Use a hand blow torch to toast and brown the meringue.